We create beautiful spaces for all styles of design. Our residential interiors take on their own particular story reflecting the lives, tastes, and memories of our clients. I have a sincere passion for artistry, quality and style, where balance and scale are the key to creating a beautiful and comfortable environment. Your Vision + Our Expertise. Providing full service, personalized interior design services for over 20 years. With an extensive curated offering of eco-friendly, non-toxic materials and finishes available. Through our affiliates we can also assist you with architectural, engineering, and general contracting services as needed. We specialize in creating eco, healthy, sustainable home sanctuaries and commercial interiors for your health and the health of the planet. We offer conceptual design, space planning, color consultations, plans & 3D renderings, cabinetry designs, tile designs, finishes, materials, and furnishings, and Title 24 Lighting & plumbing specifications. Past projects include residential interior design from small footprint to high end, kitchen & bath design, and a variety of commercial design projects including model homes, hospitality, clubhouses, retail, restaurants, yoga studios, medical, dental & veterinary offices, sports facilities suites, educational facilities, photography studios, banks, tenant improvements and corporate offices. Whether you dream of a complete renovation, kitchen or bathroom remodel, or simple home styling, we make it easy for you to complete your project on time and on budget while minimizing the stress of the process. 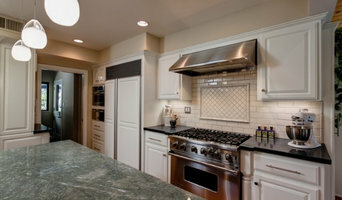 We do things differently than most design firms or home improvement companies. We blend skilled artistry, high-touch service, and detailed project management for results that evoke true joy. 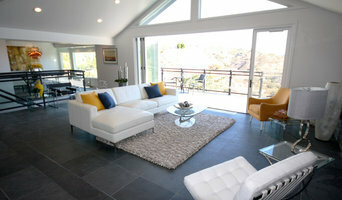 Imagine, for a moment, that you’re stepping into our studio in Laguna Beach, California. Soak up the warm kitchen, the charming bar, the dining table where we’ll discuss your dreams. We’ve ditched those overwhelming racks of outdated hardware, flooring, and other arrangements you find in most big box showrooms. Instead, we curate small vignettes that inspire a broader landscape of design. So you can give your eyes a rest and follow your intuition. Take your time browsing our rich mix of finishes and styles. During your selection appointment, we will identify exquisite materials that suit your project specifically, and if you’d like additional options, we’ll source them just for you. Our first meeting is just the beginning. Our adventure continues from here. Pearlworks is your source for innovative architectural ornamentation. Our designs have been inspired by great architecture from around the world. Pearlworks is the only manufacturer of Hybrid Architectural Moulding on the market today. This innovative process combines Hardwood and resin castings together creating a unique moulding with twice the detail at half the price of machine wood carvings. All our hardwood mouldings are made using this hybrid manufacturing process. When complex radiuses and curves require a flexible moulding, our specially blended urethane mouldings are the answer! New designs never end! The innovative design team at Pearlworks is constantly creating new and exciting ornamentation for the industry and consumer markets. Our latest creations can be seen in any of our projects or on our website. These new modular designs range from our unique Freestyle Designs, new Contemporary line to Classic components that Pearlworks is known for! Pearlworks strives to make the installation an easy process for our clients. Our extensive inventory has over 30,000 parts at any given time which allows us to ship faster than anyone in the industry. Our in stock items can usually be shipped within days and large or out of stock orders can be shipped within seven to 10 days depending on the size of your order. Our 24-hour fax or Email ordering system receives and processes orders seven days a week for your convenience. For questions, our office hours are 7:30 a.m. to 4 p.m. Monday thru Friday. Please fax us at (714) 573-1708, Email: info@pearlworksinc.com or call toll free at 1 (888) 257-3275. Our goal at Dolce Design Group is to create a home that reflects the taste, personality and lifestyle of each client. Along with crafting an environment that is inviting; infusing history, soul and incorporating spirit and texture into our work is what makes Dolce Design Group an innovative new generation of interior design professionals. Layering styles of furniture, fixtures and textiles is what makes a statement in our projects. Whether we are creating a room in your home or styling your next event, attention is always paid to details. Regardless of budget, quality is never sacrificed. Good design is forever; therefore focusing on creating spaces that reflect our client's needs, lifestyle and vision for their home and events is our main objective. 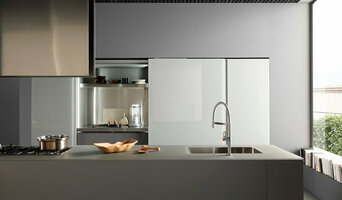 We are dedicated to creating practical and sensible design solutions that help people live better. At Kitchen Design Group, whether we are working on a kitchen, a bathroom or a full interior, we meet our designs as an open space for something new, while listening to the voice of our clients. 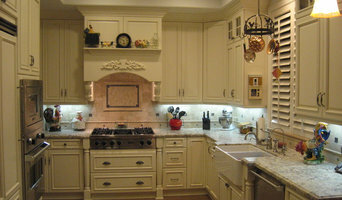 Founded in 2005, Mayland Cabinets has grown into a leading importer and distributor of kitchen cabinets. With less expensive wood products compared to domestic particle board merchandise, and conveniently located warehouses nationwide, Mayland has earned business from over seven hundred North American dealers. Full service architecture firm with experience in large and small residential remodels, additions, and new construction as well as retail, restaurant, corporate and educational projects. Prepared with a full compliment of design services, quality materials and expert craftsmanship, Kitchen Spaces will assist you in creating the rooms of your dreams. Our goal is to interpret your vision to create a totally functional, aesthetically pleasing and comfortable space. Upon completion and approval of the design and specifications we procure all necessary materials from only the highest quality manufacturers. In advance of the receipt of materials, we coordinate the timing, preparation and installation with a proven list of expert craftsmen thus assuring down time is kept to a minimum. We are a unique home and accessories store located in Westlake Village, CA. Owner & designer Mary Radenbaugh also creates custom kitchen & bath designs, allowing for a wonderful backdrop to display an array of accessories and furnishings. We feature imported antiques, hand-crafted furniture, elegant European table top, luxurious bedding, bath accessories, and much more! Design and accessory services available to help you create your dream kitchen, bath, or bedroom-visit our store or call us today!